Help to preserve the shelf life of dry mixes, foods, coffees, and pharmaceutical products. 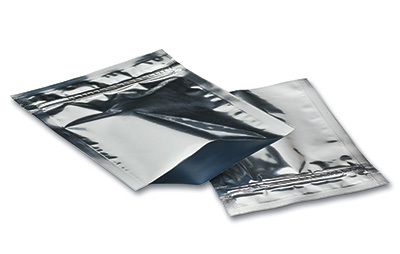 Tamper-evident zipper pouches must be cut or torn open at notches to access zipper. Meets FDA and USDA specifications for food contact. Heat seal to close bottom of pouch. Custom printable.